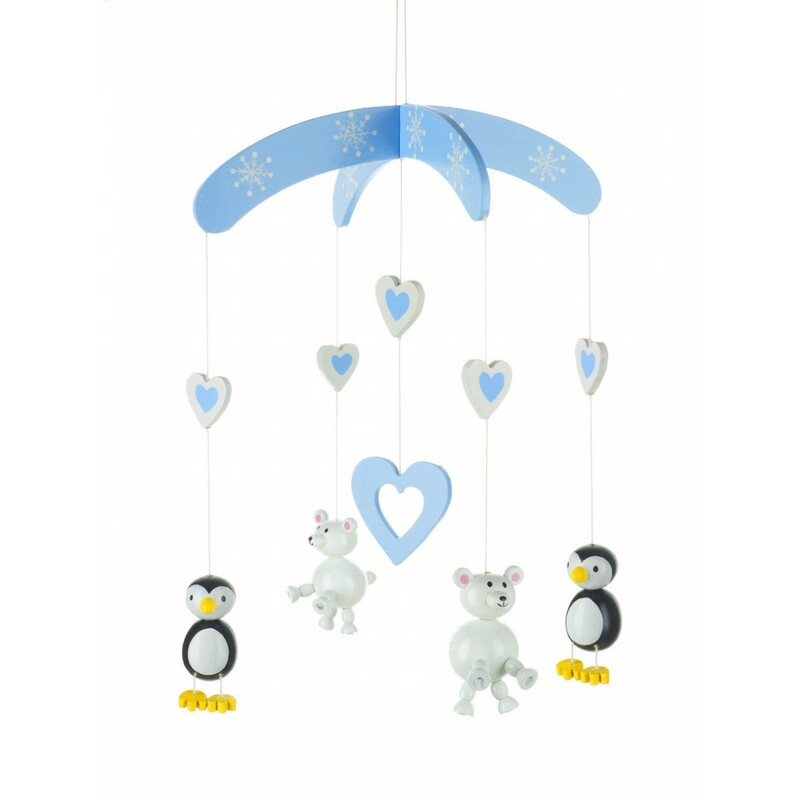 This stunning Penguin and Polar Bear Mobile by Orange Tree Toys is a delightful wooden decorative toy that will enchant any baby. Hand painted in bright and attractive colours, the mobile is a wonderfully visual and exceptionally cute decoration that will engage your little one and look amazing in any child's room..
A really lovely and exceptionally well made wooden mobile that will look fantastic wherever it's hung. Beautifully presented in a clear front gift box, the mobile makes a fantastic first birthday or Christening gift. In bright non toxic paint, the very cute characters are sure to delight any child.